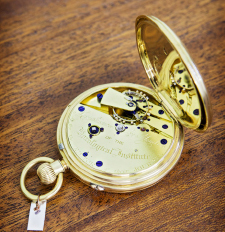 The museum collection comprises of approximately 8,000 – 10,000 clocks, watches and other timepieces, tools, instruments, photographs and archives, plus a library of almost 5,000 books and valuable documents, which is widely acknowledged as one of the finest sources of horological information in the world. 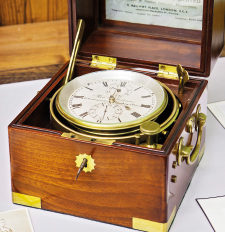 From minuscule mechanisms and precision engineering to colossal constructions and atomic devices, the many highlights of this collection include the first successful electric timepiece, the personal watch of Captain Scott of the Antarctic, clocks that were made as early as the 17th century, plus no less than three speaking clocks. watch makers. 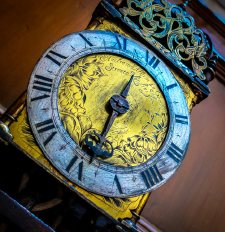 In 1994 the collection was placed in charitable trust, now the Museum of Timekeeping, established to ensure the long-term future of the collection and to provide inspiration and enjoyment of timekeeping by everyone. At present a large-scale project is being led by the Collections Officer, with the help of Collections Volunteers, to create an inventory which fully documents and catalogues the collection. Due to the historic nature of the collection and varied standards of collections documentation and paperwork utilised during its 160-year-old history, this is a large-scale and complex project, likely to take some years to complete. In the long run this will help improve access to the collection and also support new ways of using the collection in exhibitions, events and wider activities. 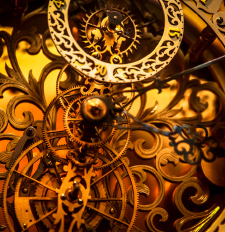 The Museum of Timekeeping is an unusual museum in some respects as many of its exhibits are working pieces. This requires a higher level of maintenance and care, than many museums exhibiting non-working artefacts. 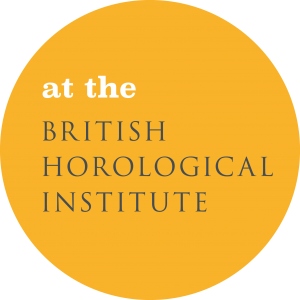 The Museum is supported by a voluntary Conservation and Maintenance group of specialist horologists who meet 5 weekends per year to undertake conservation of collection items. It would not be possible for the Museum to afford this work without the kind input of the professional volunteers who give time to this group- and the Museum Trust is incredibly grateful for their support. From time to time the museum accepts donations to help enhance the collection and displays- through the addition of interesting and unique items that will be of interest to visitors and/or researchers. What can and cannot be accepted? Due to space and storage limitations and to avoid duplication, the museum has a collecting policy which sets out criteria regarding what can be and cannot be collected, plus priorities for future collection. An acquisitions committee meets quarterly to undertake decisions on individual donation proposals. 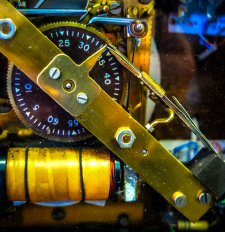 The Museum Trust must be sure that it can care for items adequately and therefore it is unlikely that incomplete objects or artefacts in poor condition or containing hazardous substances will be accepted. 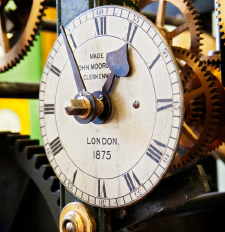 The Museum is regularly offered spare clock or watch parts, which we usually have to turn down as they are unlikely to be of use for display or research. In this situation, we recommend that enquirers contact any local clock or watch repairers that may be able to make use of these items. Does the Museum purchase objects? Occasionally items are offered to the Museum to purchase. As the Museum Trust does not have an allocated purchasing budget items can only be purchased in exceptional circumstances with the approval of the board of trustees, and this method is likely to take time, requiring external funding and is most likely to relate only to specific items of interest. Does the Museum loan in objects? From time to time the museum accept loans whereby an object/s relates to enhancing a specific project or display. All loans are agreed for a fixed term not exceeding 5 years. The museum does not look to take on loan items for purposes other than public display e.g. research, storage. Due to the requirements upon museums to legally and properly transfer all donations into the ownership of the Museum, and to simplify the administration of this process, the museum cannot accept or take in items without prior consideration and discussion. Please note as a result the museum is not able to take on the spot donations in person or by post and in this situation donors will always be required to take items away with them, or make arrangements for their return. For this reason, please contact the Museum in advance to discuss your proposal. • to confirm that you as the donor owns the item. This is all that is usually required by the acquisitions panel to make a decision. If further information is required, or the object needs to be seen in person the Collections Officer will contact you. You will be notified of the acquisition panel’s decision as soon as possible. If your request is accepted the Collections Officer will arrange a time to meet with the donor and complete the Object Entry Form paperwork to legally transfer the item/s to the Museum. Does the Museum loan out objects? The Museum can loan certain artefacts to other ACE accredited museums who meet necessary criteria. Over time the museum hopes to develop handling resources for loan to schools and other groups for educational purposes. For people wishing to donate any items please contact the Museum’s Collections Officer Alex Bond at alex@museumoftimekeeping.org.uk or call 01636 817 607.